The Country Inn & Suites Savannah Midtown, GA is temporarily closed and is not currently accepting reservations. Please contact us at 1-800-456-4000, if you have an upcoming reservation. 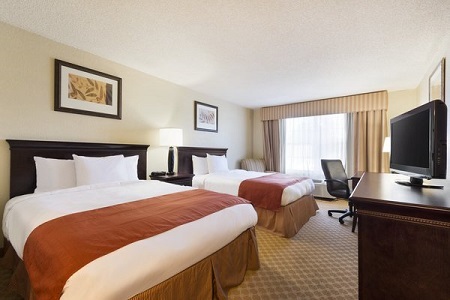 Experience an affordable getaway in Savannah when you choose the Country Inn & Suites® by Radisson, Savannah Midtown, GA. Our convenient location is only six miles southwest of downtown and the city’s grand Historic District. Stroll the well-preserved squares to view classic 18th- and 19th-century architecture and important historical sites from the Civil War and African American history. Visiting family or students? 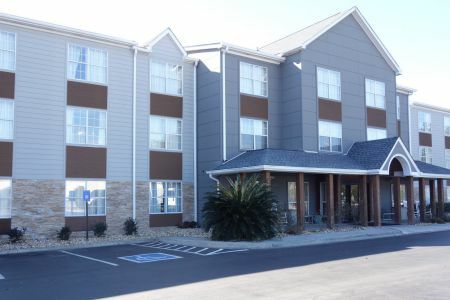 The hotel is only two miles from Hunter Army Airfield and is close to Savannah College of Art and Design, Savannah State University and Armstrong State University. For additional space, upgrade to a Two-bedroom Suite. Both of the private bedrooms include a TV and one king or two queen beds. Please note that guests must be at least 21 years of age in order to book a room. 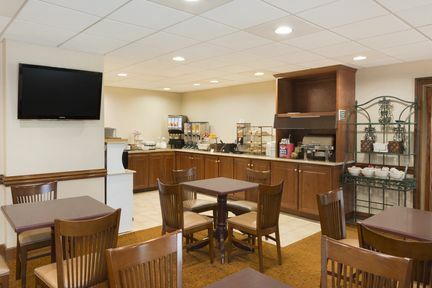 The hotel’s dining area offers a selection of hot coffee, tea and fresh fruit 24 hours a day. In the morning, help yourself to favorites like scrambled eggs and waffles from the free, hot breakfast spread. Sit down to lunch or dinner at one of the many nearby restaurants. The Pirates’ House in downtown Savannah, established in 1753, serves up classic Southern dishes in a rustic inn. Travel back in time and be transported to what was once a popular spot for seafarers and pirates alike. Old Fort Jackson – Drive 10 miles from the hotel to this impressive brick fortification on the Savannah riverfront. Designated as a National Historic Landmark, the fort served as a key defense post during the War of 1812 and the Civil War. Don’t miss the daily cannon firing! Savannah Botanical Gardens – Immerse yourself in the natural beauty of this lovingly maintained collection of native plantings, ferns and roses. You can also visit the 1840s-era farmhouse, the tranquil pond and the children’s garden, all located less than two miles from the hotel. Telfair Museums – Visit the museums’ permanent galleries and special exhibitions to see more than 4,500 works of visual art on display. This collection of museums can be found downtown, a little more than eight miles from the hotel. 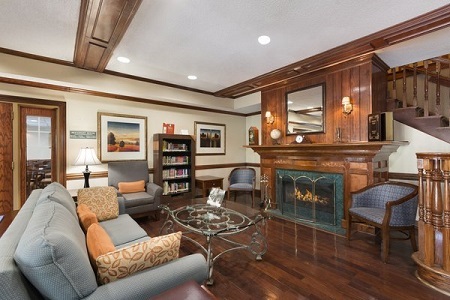 The Country Inn & Suites, Savannah Midtown accommodates lively social gatherings and business conferences of up to 30 guests. Traveling with a team? Take advantage of our Sports Approved Program and use the event space for a pre-game meeting or an award ceremony. Our welcoming and professional staff can help you plan a successful, stress-free event.